Explore the Treasured Islands of San Diego Bay! 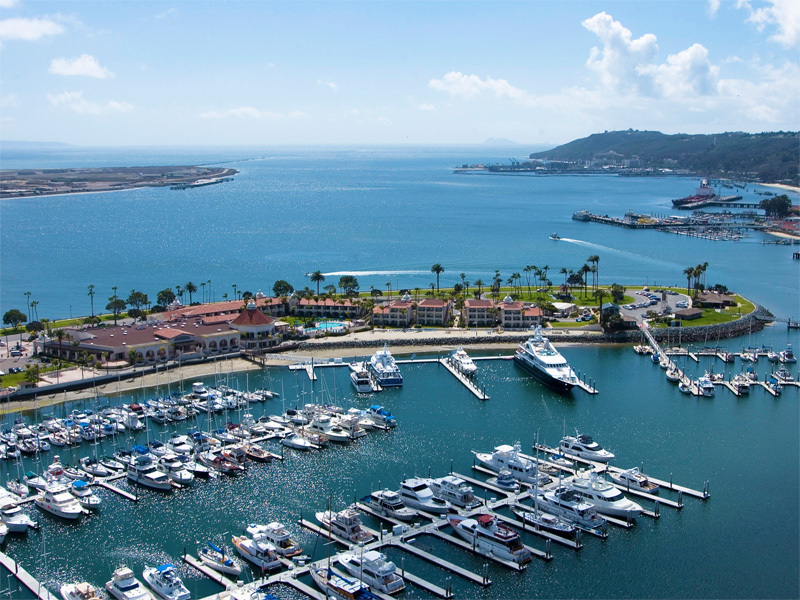 Did you know…San Diego Bay is home to three unique islands, located real close to downtown San Diego? Their names are Harbor Island, Shelter Island and Coronado Island. Truth be told they’re technically peninsulas, two of which are man-made (Harbor and Shelter). But they sure feel like island getaways, worlds away from the every day. 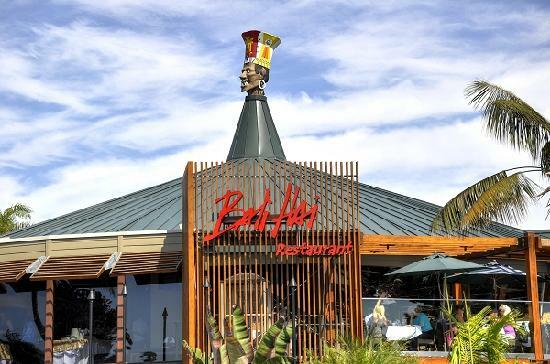 San Diego’s original tiki temple, featuring tiki icons Mr. Bali Hai and The Goof on the Roof, plus strong Mai Tais, fabulous views and Polynesian dishes. The newly renovated Kona Kai Resort with its own private sandy beach (yep!) and chic new Vessel Restaurant. Fathom Bistro on the Shelter Island pier, a best-kept secret serving 15 beers on tap, gourmet hotdogs and sausages. The giant seashell-looking Pacific Portal sculpture by James Hubbell, “San Diego’s Gaudi”! The Japanese-style pagoda that houses the Yokohama Friendship Bell, a gift from San Diego’s sister city Yokohama. 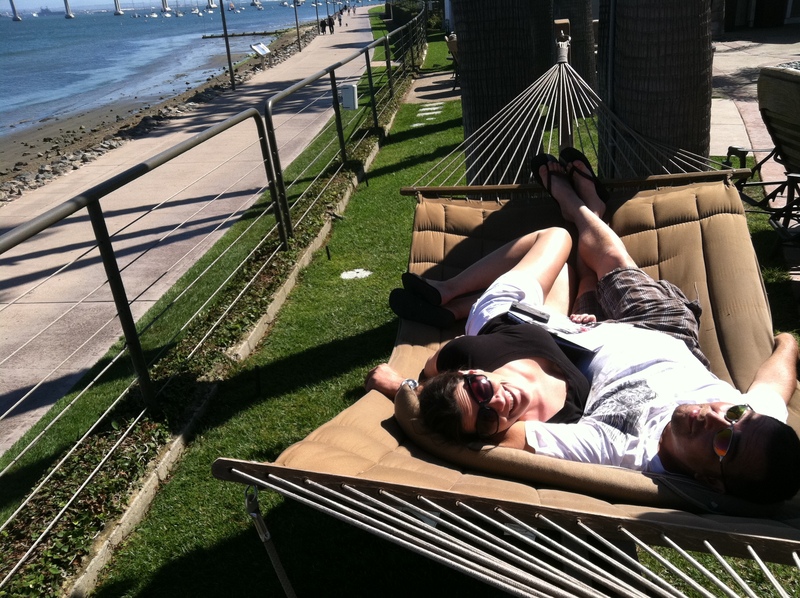 Relaxing double hammocks at Coronado Island Marriott Resort for afternoon siestas. Authentic Italian gondola rides at Loews Coronado Bay Resort. 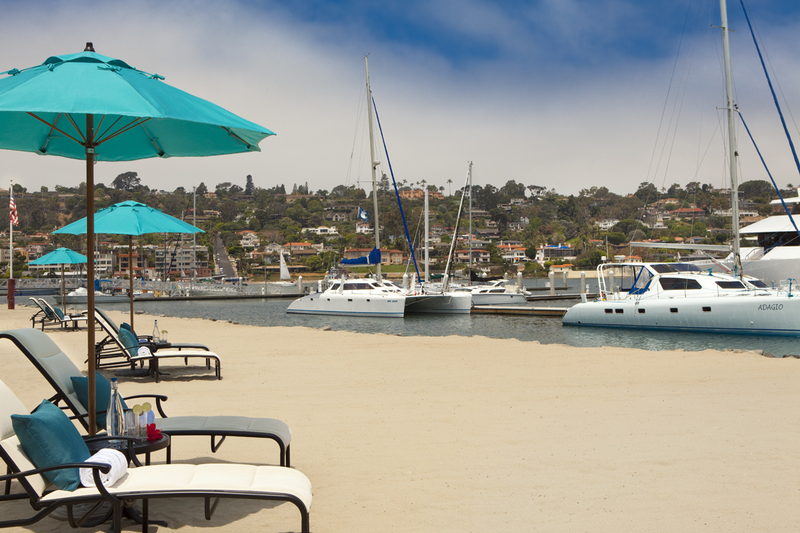 Coronado Ferry Landing, featuring a small sandy beach (great for kids! ), “Secret Art of Dr. Seuss” at Stephen Clayton Gallery, affordable rides on the Coronado Ferry and San Diego’s only urban kayak tour. Authentic Mexico-style cuisine at Candelas on the Bay. Their Sunday brunch buffet is phenomenal! Shoreline Park, a secret “pocket park” on the bay that’s the perfect place to chill out or picnic away from the hustle and bustle. 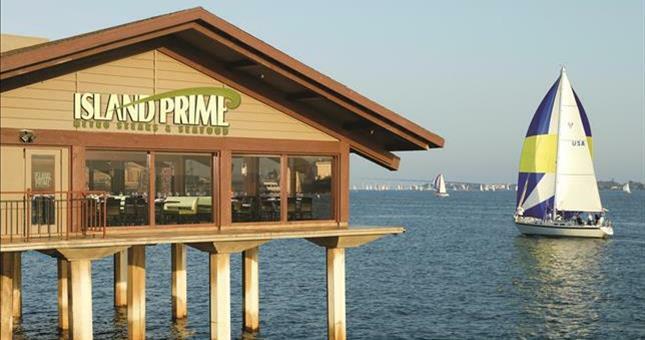 For fine dining, Island Prime-C Level Lounge with its bayside setting and succulent seafood and steaks is second-to-none. Check out the renovated landmark Tom Ham’s Lighthouse, a fully functioning lighthouse and restaurant with the best Sunday brunch on the island. 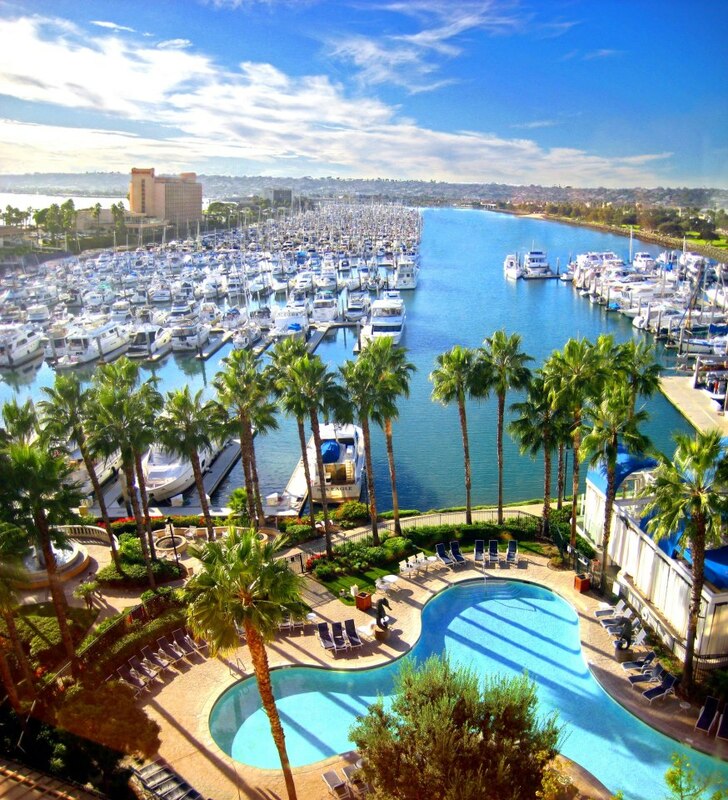 Rest your head at Sheraton San Diego Hotel & Marina with its two sleek towers overlooking the bay. 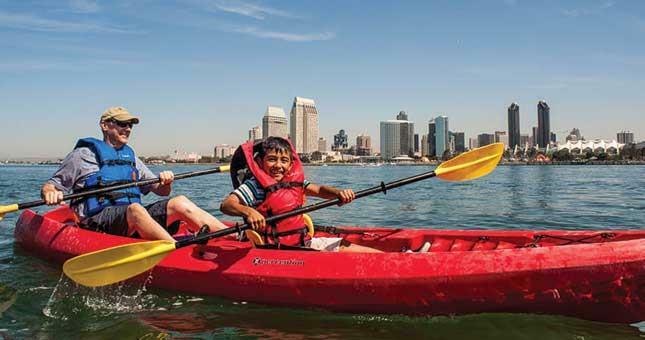 It’s very family friendly and even offers a Bayfront Shuttle ($1 per person) to nearby waterfront attractions like the USS Midway Museum, Maritime Museum of San Diego and Seaport Village.